If you are in the market for a car window repair service around Hollywood, you can’t go wrong by choosing Hollywood Car Glass to help fix your automobile. To give you an added sense of safety prior to having one of our mobile teams visit your home, you can rest assured that we have had thorough background checks conducted on all of our employees. If the windshield is beyond repairable and a windshield crack repair won’t get the job done, we do recommend having a windshield replacement done to get a whole new windshield. We also regularly checkup on their worksite performance, and will not hesitate to remove a technician from either the worksite or company if they do not leave you feeling comfortable and that the job was accomplished to the appropriate specifications and regulations for the state of California. 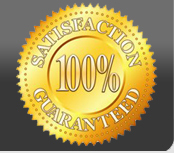 After a repair is accomplished, you will also enjoy a free, lifetime warranty on our high quality work. So you can see how easy it is to do business with our company. Our mobile repair teams are also very capable in the auto window tinting field, and can provide you with a professional tinting job during the same visit that we help repair your auto’s windows. The professionals at Hollywood Auto Glass have nothing but your best interest at heart. Keep in mind that we also do auto window tinting and that comes with free mobile service as well, and you are guaranteed that you will not be surprised with any hidden fees or surcharges when it comes time to pay the bill after our team calls a job complete. If you need a free estimate on your auto glass, simple call us today. We will be happy to answer any questions that you might have, and our company always provides you with a free quote, and we look forward to serving you today.